You could be stopped at the roadside by the police and advised that consideration will be given to prosecuting you for speeding. More frequently the first you will know of a speeding allegation is when the postman drops a notice through your letter box advising that you may be prosecuted. You may receive a S172 notice under the 1988 Road Traffic Act. 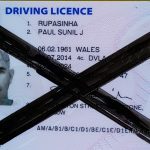 This requires you, as the registered keeper of a vehicle, to state any information you have as to the identity of the driver on the occasion when speeding has been alleged. Don’t ‘put your head in the sand’. You must respond to any such requirement within 28 days of service of the notice or you could be committing a separate offence. How should you react to an allegation of speeding? This depends entirely on the circumstances. Do you have a defence? Do you wish to plead ‘Guilty’ and seek to minimise the penalty against you? What will contesting an allegation entail? If you have received a Notice the clock is running against you. If you consult us at the earliest possible stage we can ensure that you receive expert advice as to your options as to how best to complete the paperwork and the best way forward. If you complete the paperwork yourself you may be committing yourself to a course of action without understanding the potential consequences. There are a range of options which fall short of requiring you to attend court from an oral warning at the roadside to attending speed awareness courses through to receiving fixed penalties. 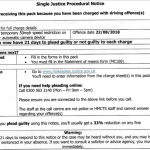 If you have been required to attend court for an allegation of speeding this is either because you have contested the allegation and are pleading, ‘Not Guilty’, or because the court is likely to be considering disqualifying you from driving (usually because you were exceeding the limit by 20mph or more or because you have collected 12 or more penalty points on your licence). Speeding is punishable by the endorsement of 3-6 penalty points, a fine and costs. Alternatively, you could be disqualified from driving for even a single offence (in which case your licence will not be endorsed with points). Even a short disqualification could result in your insurance premiums rising significantly. (If you know that a court is going to consider disqualifying you you may wish to make enquiry of your insurer of the likely rise in premiums were you to be banned. Some clients have told us they have been advised to expect a doubling of their premiums for several years to come and that they wish to do everything possible to avoid a ban.) 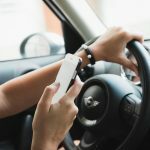 You should beware that you are always required to disclose relevant speeding convictions and whether you were banned when obtaining insurance quotes. Failure to do so could invalidate the insurance. These are just some of the immediate consequences of a conviction. We fully understand that the potential costs to motorists range from inconvenience to loss of livelihood (with all the attendant consequences that that could entail). The sight of road side cameras has become depressingly familiar. There has been an enormous increase in the proliferation of camera traps throughout the country. In practice, this means an ever increasing number of prosecutions. Beware of exceeding speed limits at all (even by less than a 10% margin); you can be prosecuted even for exceeding a speed limit by 1mph (although this may be unlikely). You will only have read this far if you, or someone you know, is at risk of prosecution. Prosecution, even for a one-off speeding allegation, can result in a disqualification. If you are unsure of your next step call us now for a no obligation and confidential discussion. Whatever your situation we know how to make the best of it. Criminal law and procedure (which govern motor offences) are complex. If you fell seriously ill you would probably be unlikely to try to diagnose your own illness, prescribe your own medicine and treat yourself for the logical reason that you are not a doctor. In the same way it may be unwise to go to court and seek to represent yourself as you are not a motor offence specialist lawyer (or you would not be reading this). Using another medical analogy solicitors are the legal equivalent of GPs. If you visit your doctor and he suggests you see a hospital consultant you would probably follow his advice. Barristers are the consultants of the legal profession; specialists whom, under recent changes to the law, you can now instruct directly to take up your case. Why wait? If you want an expert working on your side, call now.